We’ve all been taunted by them, even though that may not, of course, be their intention. Yes, when those so-called “friends” post yet another glamorous photo on Instagram, or boast about yet another milestone via a Facebook status, we should feel happy for them. But sadly far too many people feel themselves falling short, or find themselves caught up in a race to keep up appearances with every furtive glance at their device’s screen. These all serve as major themes in her new book Stress In the City (out Aug 6, which you can read more about here). In the book, Li details her own trials with depression, using her experiences as a springboard for exploring stress and burnout in workplaces and fast-paced societies that are super competitive. “So it covers, for instance, my upbringing in Hong Kong, which illustrates how tiger mothers and competitive education systems contributed to overachieving perfectionist mindsets that are extremely prevalent in big cities and amongst executives. And that then leads us, in part, to why we kill ourselves overwork, literally and figuratively,” Li says. Li says another, all too frequently overlooked facet of the issue is how many of us create pressure and stress for ourselves, as we struggle to keep up with the Joneses in this age of ubiquitous touched-up selfie posting. Through her work, she also tackles other of-the-moment mental health hurdles like the triggers that abound online, and the stigmas linger among those who flock to the comments section. Then there’s the matter of celebrity suicides and the reactions they elicit, which Li is of two minds about. “It’s great, on the one hand, that more people are talking about this and that there’s more awareness,” she says, before quickly pointing out that some comments can be unintentionally damaging. Prime example: Anthony Bourdain. “When he took his life, there were so many comments about how ‘he had everything going for him,’” Li says. Li covers many such facets of mental health both in her book and on her widely read blog, NochNoch.com. Since she began blogging about her struggles in 2010, and having gained an enthused following, Li has gone on to put on a TEDx Talk and launch a workshop service called Bearapy (which you can read more about at bearapy.me), where she offers mental health-themed workshops at workplaces contending with high stress. 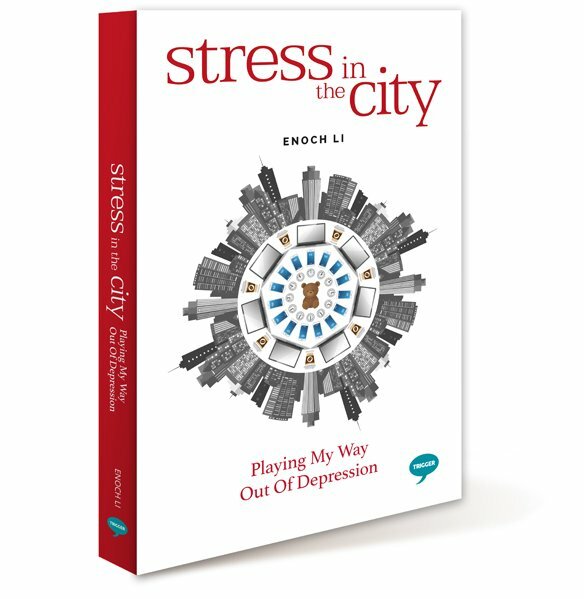 For more information about Li’s forthcoming Stress in the City book click here. Information about her mental health workshops can be found here.